This is a post about The Feed Zone: Portables (a cookbook about homemade nutrition for endurance athletes) by YoungTri Ambassador Hannah, a member of the UVM tri team! You can ask any of my friends, I could talk for hours on end about nutrition… especially sports nutrition. (It must be a dietetics, nutrition, and food science major thing mixed with being a triathlete :P) When I stumbled upon “The Feed Zone: Portables” online, I bought it literally 20 seconds later and it was the best $13.72 I’ve spent in a long time! 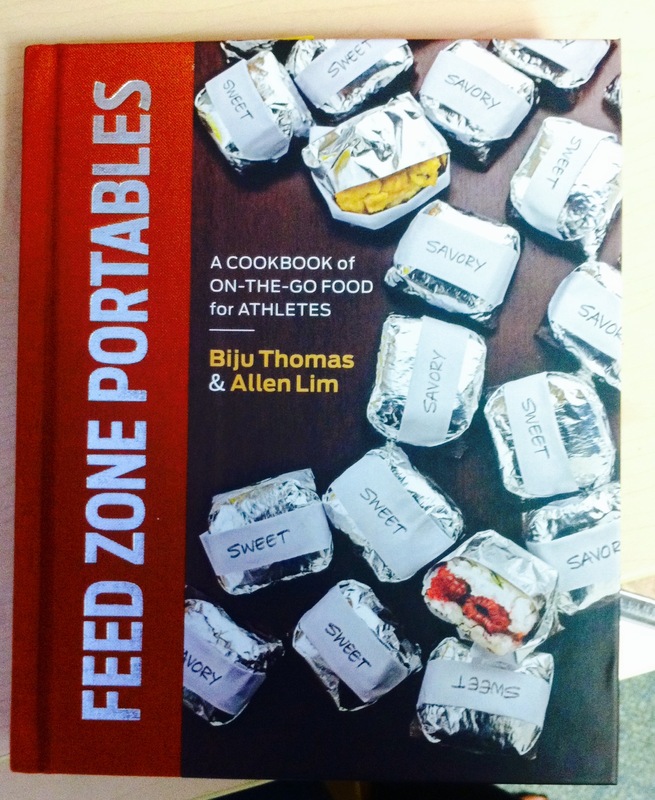 This cookbook is written by Allen Lim and Biju Thomas who are the physiologists and chefs for the USA Cycling Team. The pair currently works with many other professional endurance athletes. They spend the first 60 pages of the book summarizing sports nutrition. They used the science to show why eating solid “real food” can be easier on your body to digest, which in turn would lead to better performance; opposed to the traditional bars and gels currently on the market. On average, there are about 18 ingredients per bar/gel you typically would eat. The portable food Biju and Allen make contain on average 6 real ingredients. I’ve gone through and picked out a bunch of recipes that look DELICIOUS and I can’t wait to go home for spring break and spend some quality time in the kitchen producing foods that I know will fuel my fitness, especially on looonnnng bike rides, in the most efficient way possible. Here are a couple of the recipes I’ve chosen from the cookbook — check out the book for others (like Denver RIce Cakes, Beet Juice Waffle Sandwiches, & more)! 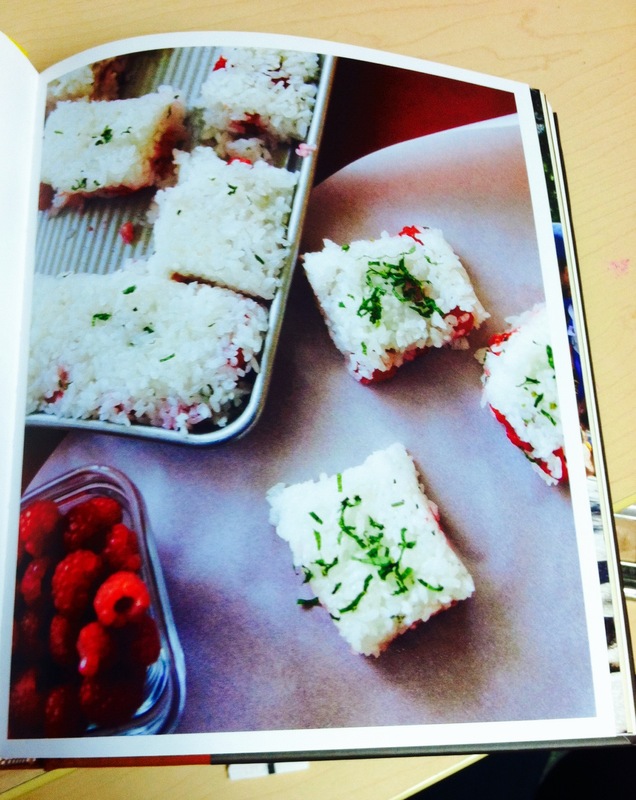 3 cups uncooked sticky rice, 4 ½ cups water, ½ cup cane sugar, 3 tablespoons of lemon juice, 1 pint fresh raspberries, 2 tablespoons fresh mint leaves minced. Combine rice, water, and a dash of salt in a rice cooker and let cook. When the rice is finished cooking, transfer it to a large bowl and add sugar and lemon juice. Mix thoroughly. Spread half of the rice mixture onto a 9”x12” baking pan, using a rice paddle to gently press the rice into the pan. Top with berries and sprinkle minced leaves evenly. Finish by gently layering remaining rice over the top of the berries and mint. Let set up a few minutes, then cut into squares and wrap. 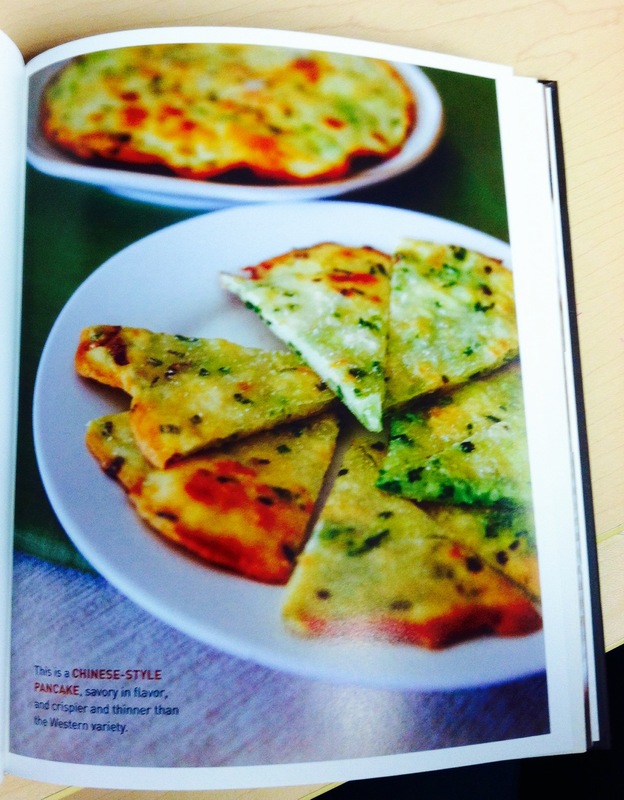 1 cup flour, ½ teaspoon salt, 4 chopped scallions or green onions, ½ cup boiling water, 1 tablespoon sesame oil. Combine the flour, salt, and scallions in a medium bowl and stir together. Pour the boiling water over the dry mixture. Quickly stir it with a wooden spoon. Once the dough begins to hold together, work it with your hands until all of the flour is incorporated. Shape the dough into a large ball. On a lightly floured surface, roll the dough into a circle about 1/8 inch thick, similar to a tortilla. Brush a sauté pan with sesame oil and bring to medium-high heat. Fry the cancake on the griddle until golden brown on both sides, about 3 minutes per side. I highly recommend this book to anybody serious about their athletics! If you aren’t properly fueling your body, you won’t be able to perform at your optimal ability level. Tri Hard AND EAT HEALTHY!